My name is Ryan Brown and I am your local trainer here in the Pikes Peak Region. 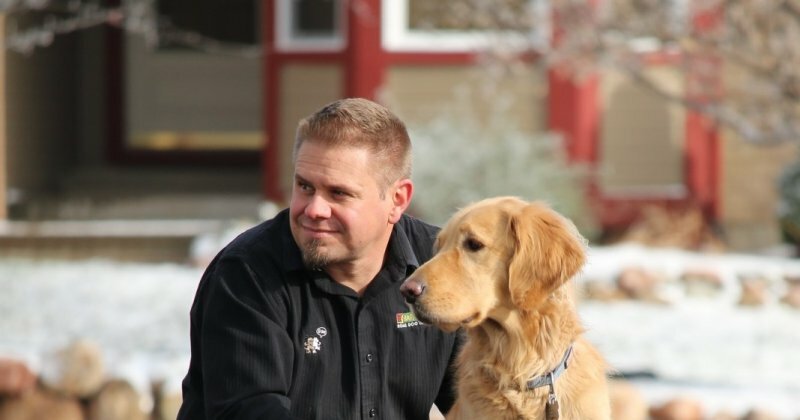 I am a fourth generation Colorado native and I love helping dog owners understand why dogs do what they do and how to fix the issues they need fixed. I have spent 14 years training over 3,500 dogs (and their owners) in the area. 15 years ago (before Bark Busters), my wife Erin and I had an Anatolian Shepherd mix named Jesse. She was a nuisance barker and a "D" dog on the behavioral rating quiz. We received several barking complaints from the Humane Society. We thought we were doing everything right, but obviously we weren’t. Erin and I needed to be trained as much as (if not more than) Jesse. After training with Bark Busters, Jesse became an “A” dog and the barking was no longer an issue. My job is to teach you how to communicate with your dog in a way that he will understand. I also instruct you on how to be your dog's teacher. Dogs are amazing "people" trainers. Because of this, they often think that they are in charge and see us as the students. Most people overcomplicate training because we are much more complicated than our dogs. When you simplify the communication process, training can happen so much faster because the dogs just get it. The vast majority of our clients see big improvements in their dog's behavior in the very first visit! Any age and any issue, from house training to serious aggression and separation anxiety, we are the best! If you just read all of this, you are obviously in need of some help. Please don't procrastinate any longer. Help can be on the way soon!